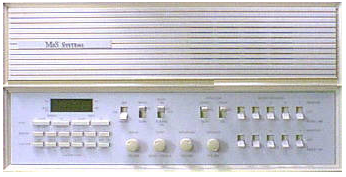 The MC350 System was discontinued and has been replaced by the M&S DMC3-4. BEC Audio is an "Intercom Service Center" & "Autorized M&S Dealer" - Ask about Refurbished Units. If Upgrading we have listed some thing that you need to know below. This system is one of the intercoms that would replace the system you have. Here are some answers to frequently asked questions about replacing intercoms. What if the current system has a CD player or cassette deck? - You would need to upgrade your system with one that has a ipod/cd player if you plan to avoid patching the wall.